CRM applications are widely used by businesses for following top functions like: segmenting contacts, track customer communication, exchange interactions through email campaigns and pre-set alerts for personal communication. In real estate industry and for property management companies in specific the Sales cycle process equivalent would be that of renting out long term and vacation rentals if applicable. The magnitude of the communication related to this may vary based on the sizes and numbers of properties managed for their customers/clients who will be tenants or guests in this case. Recently we had a chance to serve a client from Property Management market space. Implementing CRM for them gave us a hands-on perspective and we have tried to put that in a demonstrative way in this video. 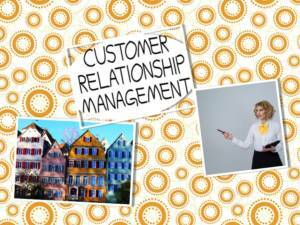 The video portrays how our CRM solution helps in alignment of goals, and resources. The property managers of our client could leverage FreshSales to efficiently identify trends and approach renting out in a more systematic way. With access to information such as demography, as well as details on won and lost opportunities, the team could tailor the way it approaches prospective tenants based on past success. % of in person interaction that’s going to help in decision making. A deep understanding of needs and trends can help businesses steer even the toughest of prospects and eventually earn their faith and seal the deal. If deals don’t work your way, Freshsales retains them as your prospects until they come back looking for deals with you or you have availability of property like the one they were looking for. With lead details intact in our system you can always connect back with your prospects when the time is right. You may also promote new offers and newer developments in your organization to retain the brand image in your future clients’ mind eye. Keeping in constant touch with your prospects is in turn a significant way to let them refer you to more leads who may need your services. In short – your search for CRM ends here. Take control of your customer lifecycle with FreshSales. Start your trial today with FreshSales. Sign Up here.